3 Bedroom Semi Detached House For Sale in Lowton for £199,950. THE TREVITHICK - Stunning 3 bedroom semi-detached home. 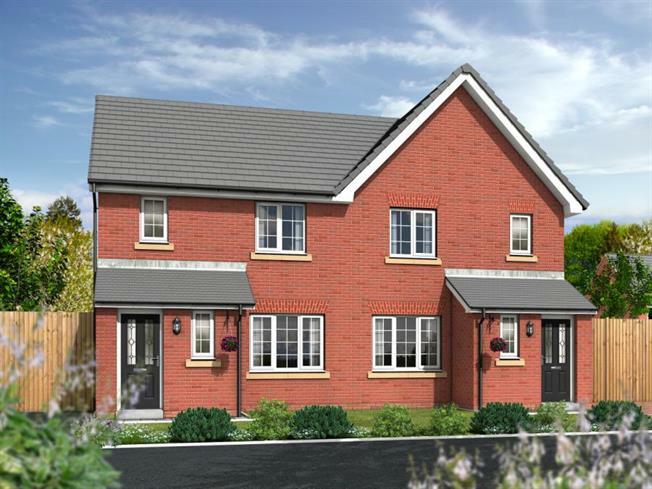 The Trevithick house type offers modern, contemporary living with a timeless quality. A spacious lounge leads to the open plan kitchen/dining room, which has French doors leading out to the rear garden area. To the first floor the master bedroom benefits from en-suite facilities, with two further bedrooms and a family bathroom completing the layout. Heathfields is a fantastic established development of 3, 4 and 5 bedroom family homes and 1 and 2 bedroom apartments, all built to a high specification, set in a popular residential area of Lowton, a delightful village lying around two miles from Leigh and 11 miles west of Manchester city centre.